Since we are busy preparing to move, Easter and the fact that it was here, was sort of a disconnect for me this year. It wasn't until Saturday night that I remembered I never even decorated our house with Easter decorations! That was after I spent Saturday afternoon rummaging through our tubs of clothes and shoes to make sure the girls all had outfits and shoes they could wear! Luckily, outside of a quick trip to Target for shoes, they all had a complete outfit! Normally I am ultra organized, but with moving, I feel as if my brain is in one mode. 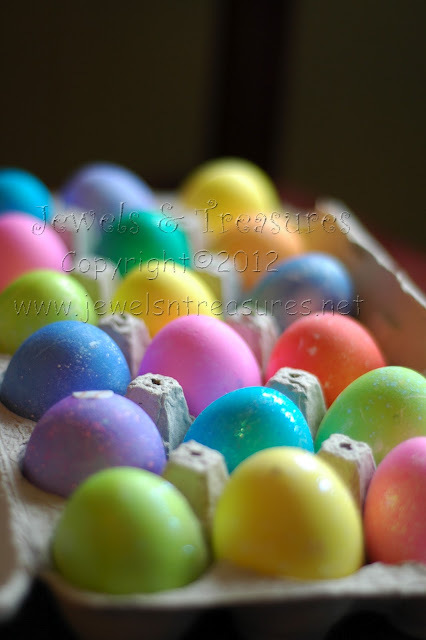 I did however, remember to let the girls dye Easter eggs. Xiomara was napping through most of it, but managed to wake up for the last few eggs. 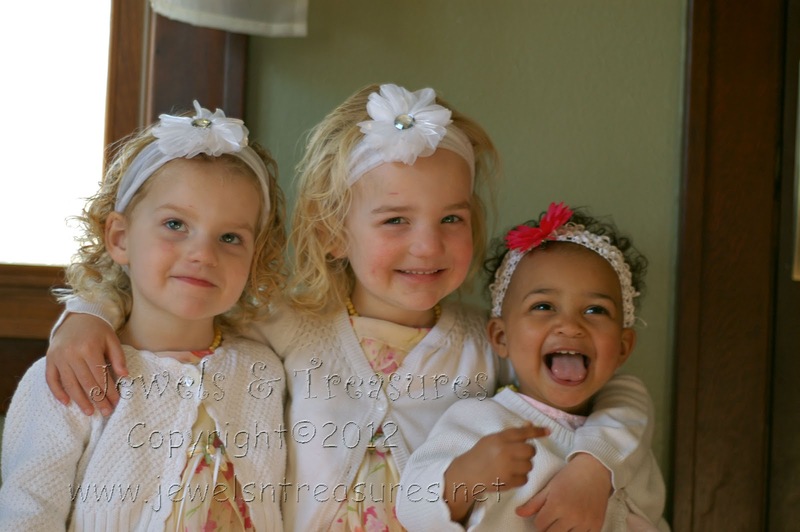 Sunday, I managed to get all three girls dressed up and tried my hardest to get the picture of all three of them smiling at the camera. After looking through all my options, I'm wondering how my fellow mom friends on Facebook have managed to get these adorable photos of all their children perfectly lined up, sitting still, and smiling? Our family picture is even worse! But that one I won't bother to share! Following church we went to my parent's house. All my siblings were there except one brother, my sister Tiffanie and my niece Natasha. Auntie Genevieve even got to hold Xiomara until she fell asleep for her afternoon nap. I also got to see my darling little niece India! We ate lots of food, had lots of laughs, and some great conversation! All in all, it was a great weekend and a wonderful distraction to the overwhelming thoughts of packing! For now, it's back to boxes! Oh my goodness! The photo with all three of them is perfect! !